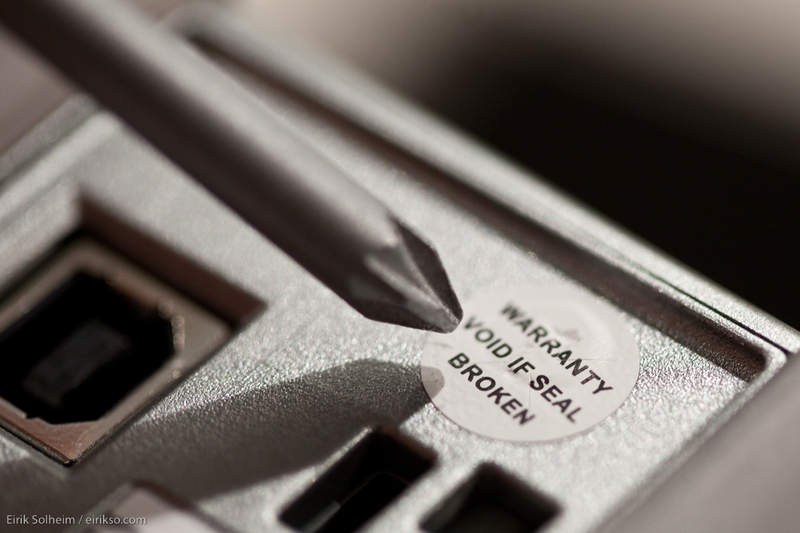 Since the passage of the 1975 Magnuson-Moss Warranty Act, "Warranty Void if Removed" stickers and other policies that put restrictions on third party repairs have been unenforceable in America, but that doesn't stop companies from putting deceptive tamper-evident stickers on their equipment in an effort to trick or intimidate their customers into going to a manufacturer-authorized service depot. Now the FTC has sent a warning to six companies (unnamed, but they "market and sell automobiles, cellular devices, and video gaming systems in the United States") ordering them to end the practice of using these stickers. This is important because while the FTC is able to extract titanic fines or even shut down a business that engages in bad commercial practices, it is not allowed to do so until it has sent the companies a written warning that is subsequently denied. The companies have 30 days to update their websites and comply with U.S. federal law before the FTC takes further action. The commission hasn’t enforced warranty law with an electronics manufacturer yet, but it has used MMWA as a hammer in court before. In 2015, it settled out of court with BMW when the car manufacturer forced consumers to use authorized dealers to get repairs on its MINI line of automobiles.